As my team and I prepare to travel back to Midway Atoll, I cannot help but note the macabre juxtaposition of the environmental disaster that is happening in the Pacific Ocean, with the one that is happening in the Gulf of Mexico. 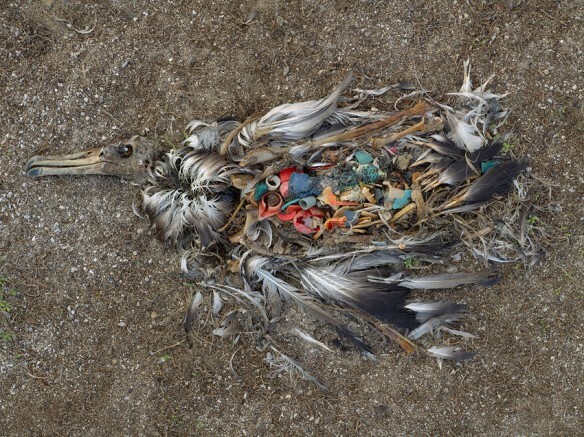 The two phenomena are oddly parallel, involving (among other grotesque features) the deaths of untold numbers of sea birds, caused by millions of tons of our petroleum products that have poured into the ocean via our collective negligence. And in each case the birds can be viewed as messengers, serving as one small warming signal of a much larger calamity, with global consequences, in which our individual consumer lifestyles are unavoidably complicit. My friend the artist Richard Lang says the opposite of beauty is not ugliness, but indifference.